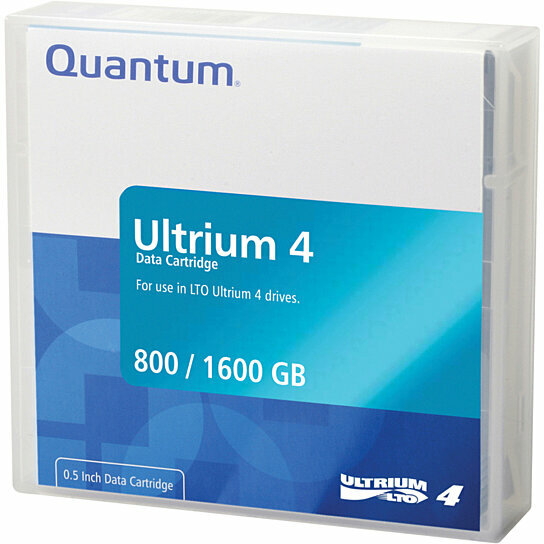 Quantum's LTO-4 HH tape drive is a half-height tape drive that offers high capacity and performance in a space saving and energy efficient half-height format. Quantum's LTO-4HH tape drive also provides native AES 256-bit data encryption, providing easy-to-enable security to prevent unauthorized access of tape cartridges, all without loss of performance. Quantum's LTO-4 HH tape drives, with either a SCSI or SAS interface, protect your investment by providing backward read and write compatibility with LTO-3 media and backward read compatibility with LTO-2 media. Quantum's LTO 4HH tape drives employ dynamic data rate matching to adjust to the speed of the host, reducing wear and tear on both drive and media and increasing performance, even on slower hosts.